Releasing one CD in a month would be too easy for SIN CITY SINNERS, so hot off the heals of their "Divebar Days Revisited" disc, the SINNERS will unveil the brand new "A Sinners Christmas 2". 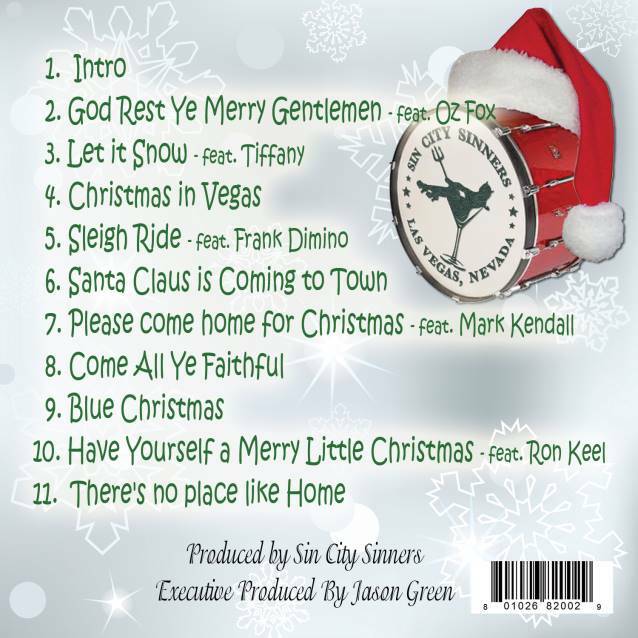 This will be SIN CITY SINNERS' fifth CD release and it includes the brand new original single and future holiday anthem "Christmas In Vegas" (available for download on iTunes and Amazon on November 18). A portion of the sales from "A Sinners Christmas 2" CD will be donated to the Toys For Tots Las Vegas chapter, who help to make sure less fortunate children have toys for Christmas. What began in 2007, led by FASTER PUSSYCAT's Brent Muscat, as a weekly "just for fun" jam at a local dive bar quickly evolved into standing room only shows featuring appearances by some of rock's hottest musicians and celebrities. As the band's reputation grew, so did the need for larger venues and the band quickly became one of Vegas' top headliners. 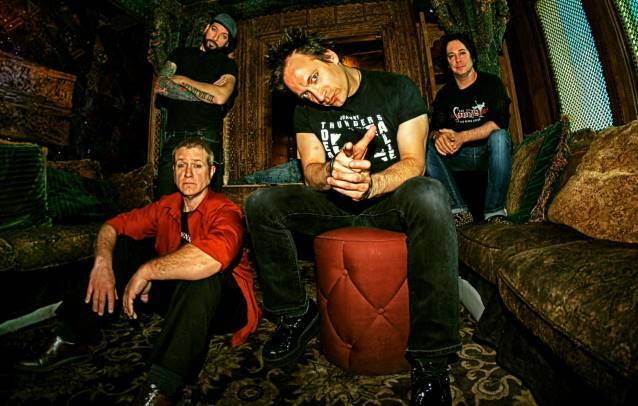 SIN CITY SINNERS have released four original CDs, the critically acclaimed "Exile On Fremont Street", the all-acoustic "Broken Record", the holiday favorite "A Sinners Christmas" and a collection of some of their favorite covers, "Divebar Days Revisited". The SINNERS' local charitable efforts have raised well over $150,000 for various causes in the community, including the St Baldrick's Foundation to fight cancer and the Cystic Fibrosis Foundation.